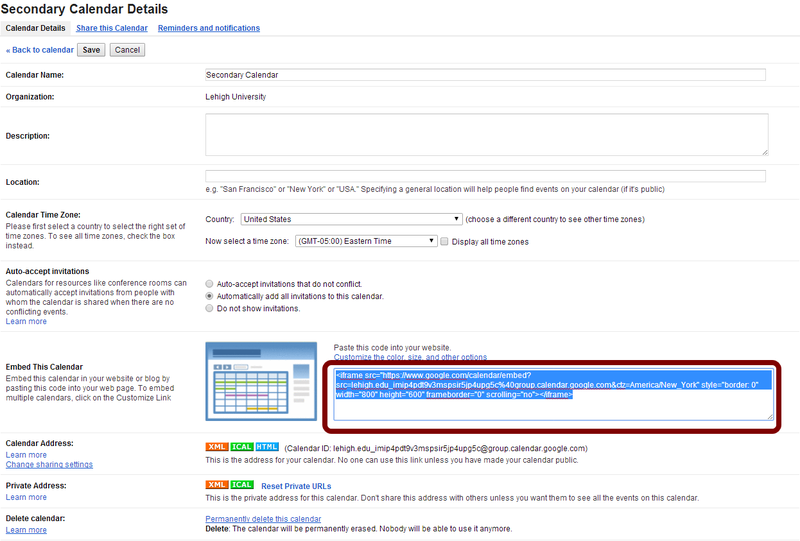 Embedding a Google Calendar in a website is a convenient way of allowing a large number of people to see a calendar. In the calendar list on the left, click the down-arrow next to the calendar you want to embed, and select Calendar settings. You will find the Embed This Calendar section in the Calendar Details page. 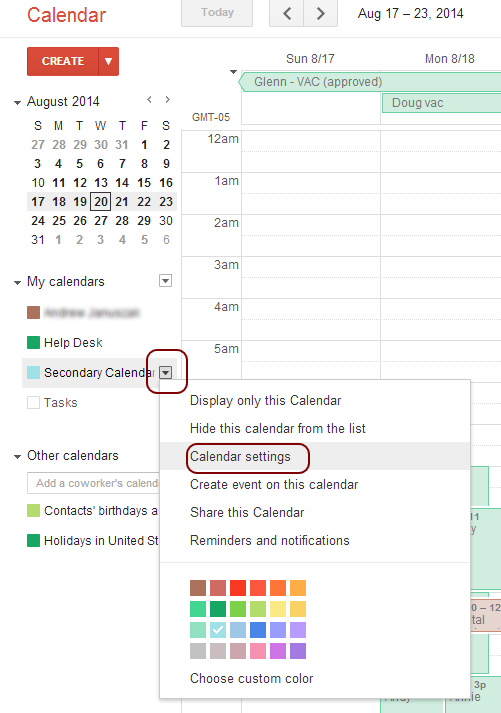 If you'd like to customize the way your embedded calendar will look, click the Customize the color, size, and other options link above the iframe field. Customize your calendar as you'd like it to appear, then copy the HTML code in the box below where it says, Copy and paste the HTML below to include this calendar on your webpage. 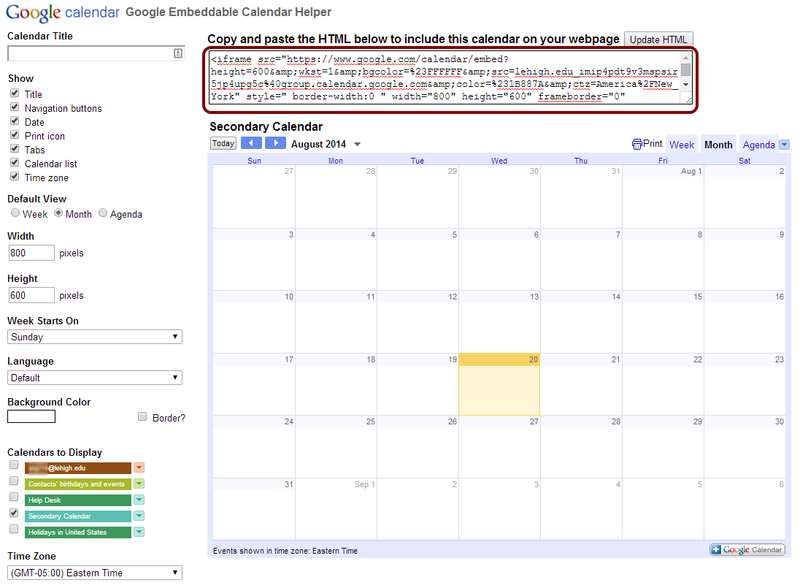 Paste the copied code into the website where you'd like to embed your calendar. If you did not want to customize your calendar you can simply copy the iframe code displayed in the Embed This Calendar section on the Calendar Details page and then paste the code into your website to embed your calendar.